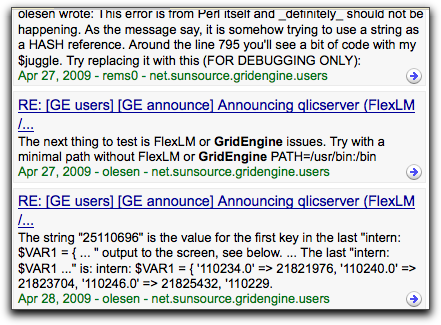 Gmane also has an archive of the users list at http://dir.gmane.org/gmane.comp.clustering.gridengine.users. It doesn’t seem to have the dev and issues lists. It would be useful if the users@gridengine.org list was archived by both markmail and gmane. Thanks.